The World Cup has reached its most exciting period, with the best teams moving forward to the quarter finals. If there’s anything to be said about the major sporting event so far, it’s that the World Cup has been full of surprises, with celebrated frontrunners like Germany falling fast and hard in the group stage. Surprises make for good TV, but when you’re talking about insuring such a massive event, which already faces political risks because of its location in Russia, the fewer surprises, the better. Cyber risk is something event organizers need to consider, especially for a month-long event that brings a million additional people into the country and has a $31 billion impact on the economy, according to Miki Ho, cyber risk underwriter for Beazley Canada. Hotels that book a huge number of rooms online during this time, and vendors selling drinks and food to fans hungry for wins need to cover their exposures too, as do ticketing companies that have to make sure people can buy tickets and have access to them when they’re going to a game. As the size and significance of hack attacks grows, the World Cup and similar events can be especially at risk. The soccer players, on the other hand, also have to protect their own assets, which is typically themselves. 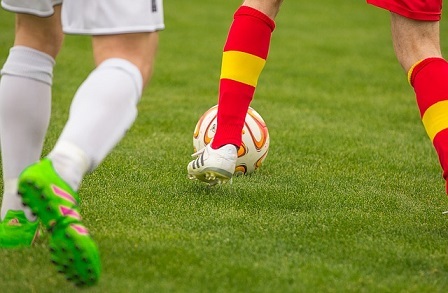 “Soccer players absolutely purchase disability insurance if they get hurt and can’t play,” said Leigh Ann Rossi, COO of BWD Sports and Entertainment, an NFP subsidiary. “You could have two reasons for purchasing – if it’s the team and they’ve signed a guaranteed contract with a player, so that they have to pay the player even if he’s hurt and can’t play, there’s a guaranteed contract [and] they’ll want to insure their interest in that contract, in that player.